When you enter Minc, the startup and incubator space in Malmö, it feels different from other innovation hubs you might have seen. It’s the mix of the crowd that makes it different: Experienced entrepreneurs and young startups, people in suits as well as in hoodies, visitors from abroad and swedish coworkers. The (great) restaurant is open to outsiders, which adds another level of diversity. Minc is situated in Malmös Western Harbour, an urban development area on the waterfront that has become known for it’s sustainability model. 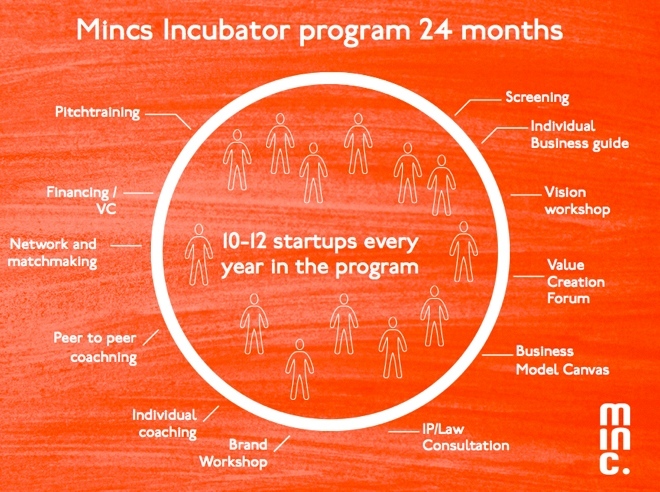 Minc has different offerings for people at different stages: Their core element is their competitive and successful incubator program, geared towards startups and entrepreneurs based in the region. In a two-year-program (they are thinking about changing it to one year soon), the selected startups are mentored, supported, monitored and guided to success. 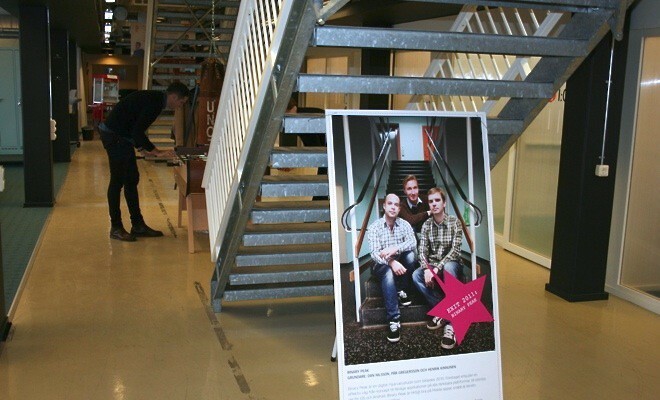 They get office space in Minc, too. Quality is key, and the startups in the incubator need to show constant progress and willingness to work on their product or company. If they fail to do so over several months, they are put on hold. 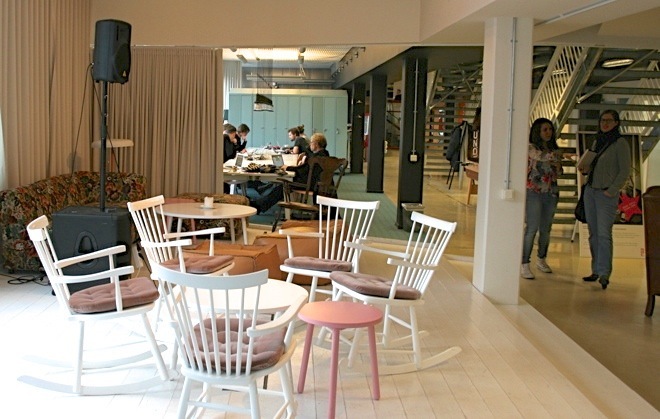 If you are not a startup looking for an incubator, but need an office for your project while wanting to be connected to the entrepreneurial community of Malmö, and you are a good fit for the Minc community, you might rent workspace. 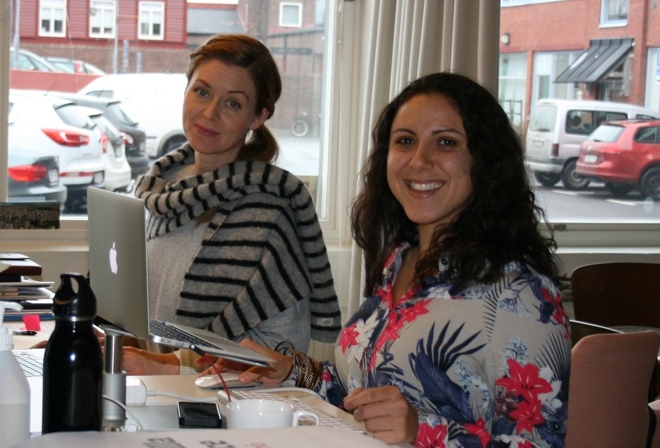 Kajsa & Maisa have their office right in the middle of the open work space. Maisa Dabus, responsible for events and meetings, shows us around and explains where meetups, talks and hackathons take place. The rooms are flexible, furniture can be moved around to create bigger spaces if necessary. There are benefits to creating a space from scratch. Workspaces and communal tables at Minc. Minc, and Malmö in general, attract more entrepreneurs than ever. Last year, 120 teams applied for the incubator, ten to twelve get chosen each period. Minc is a non profit and financed by the municipality. It wasn’t always easy. In the 80ies and 90ies, Malmö was not really the place to be. When the shipping industry died, it was a sad place with extremely high unemployment rates, no university, no startups, no future. Smart political and entrepreneurial decisions created what is known today as one of the most diverse and fruitful new business hubs in Europe.